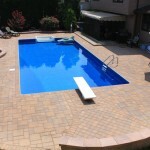 Traverten Pavers, Kool deck And all Masonary work in Colts Neck. 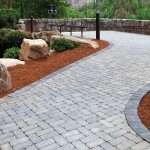 The use of paving stones or concrete pavers is growing work both on residential and commercial construction projects. 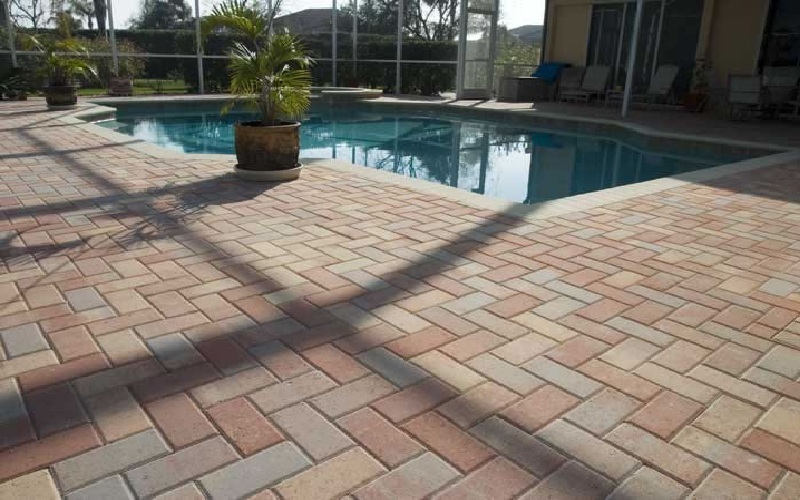 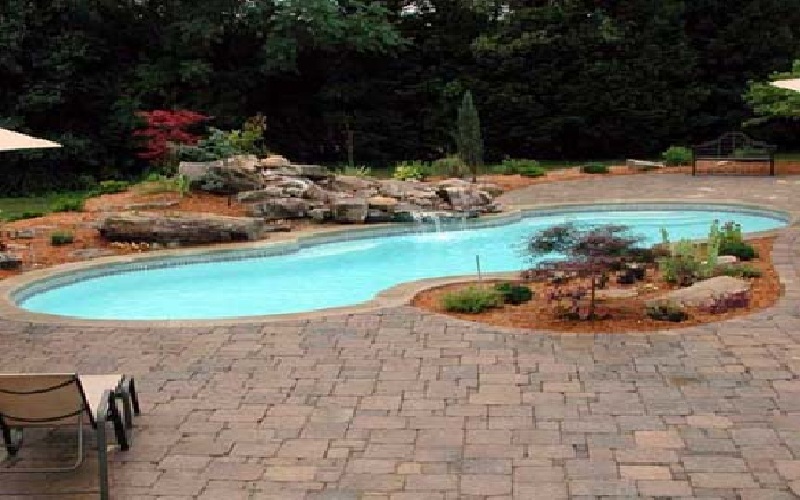 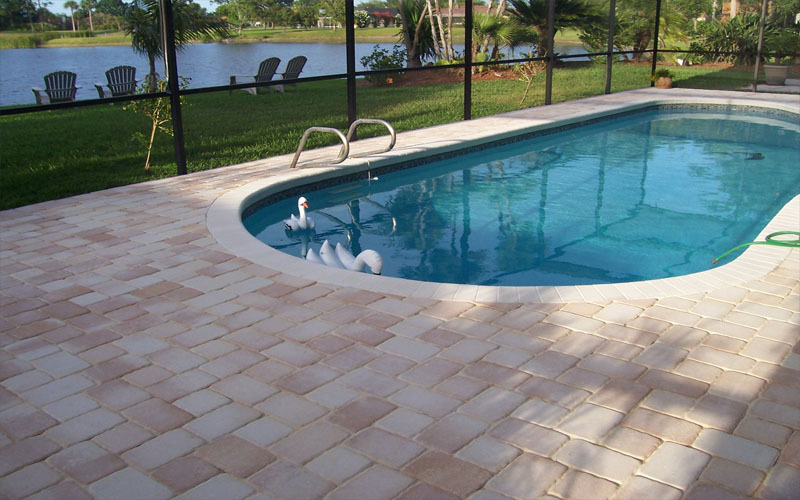 Swimming Pool or residential pavers are manufactured in various colors and textures. 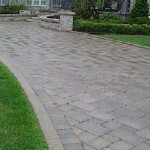 It can be removed and re-installed and that makes pavers preferred. 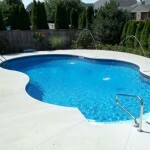 That reduces any possible future service interruptions. 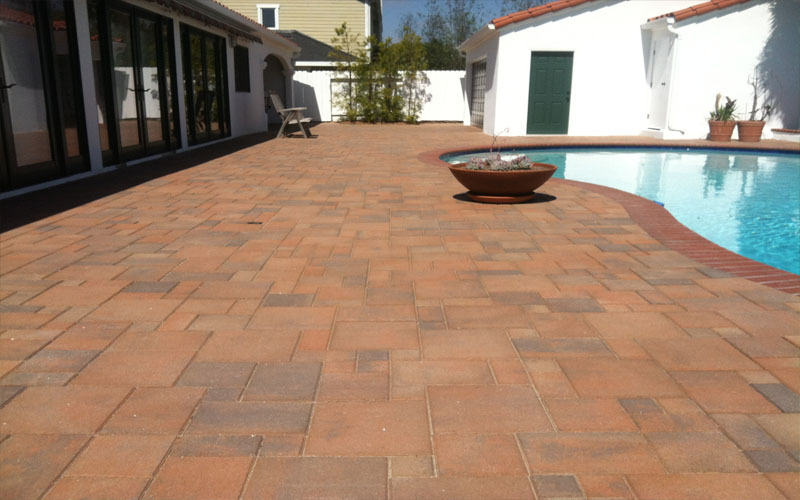 In Europe there are about 100 square feet of pavers installed per person annually. 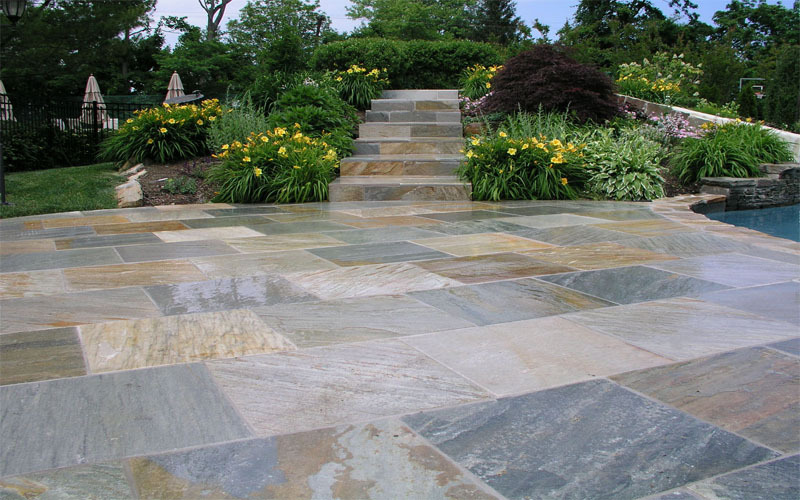 However, in the United States, it is only 1 square foot per person yet. 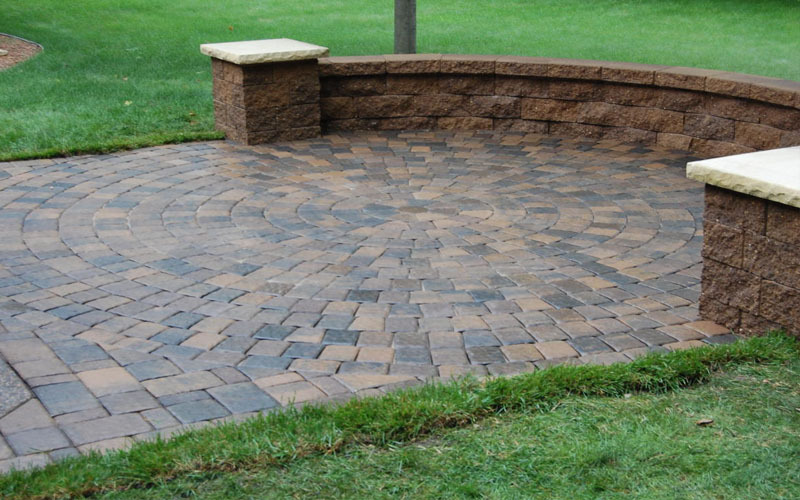 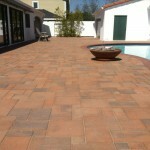 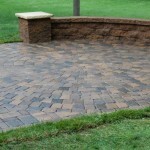 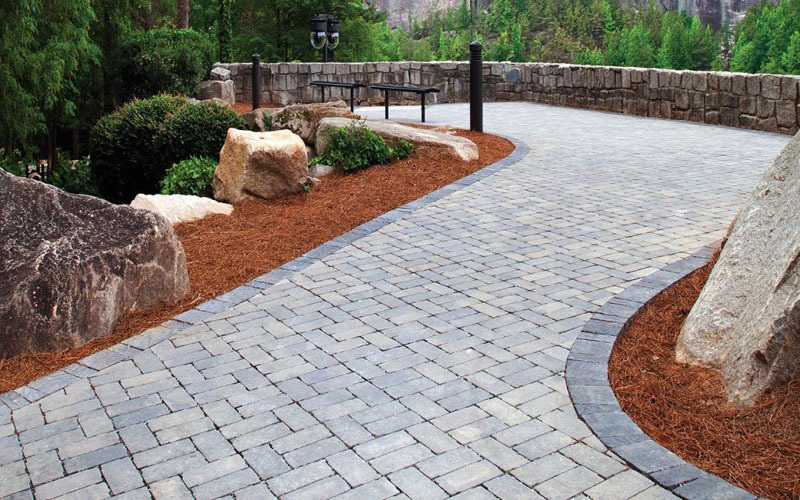 Currently, pavers can be installed on your walkway, driveway and on a patio. 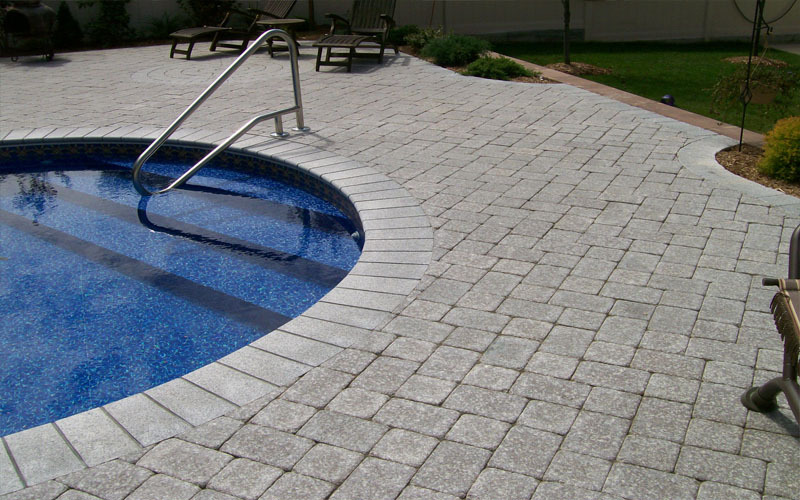 Since pavers installation is growing industry, if you decide to install pavers around your inground swimming pool or around your backyard, we urge you to contact one of our pool pavers specialist, pavers expert. 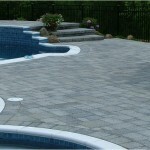 We will give you best and large pool paver selection. 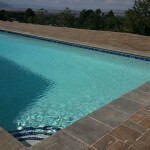 Call or E-mail us. 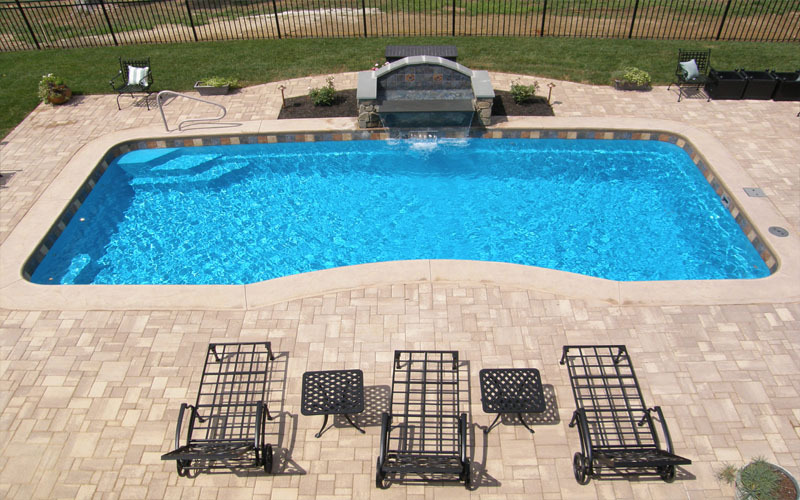 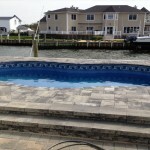 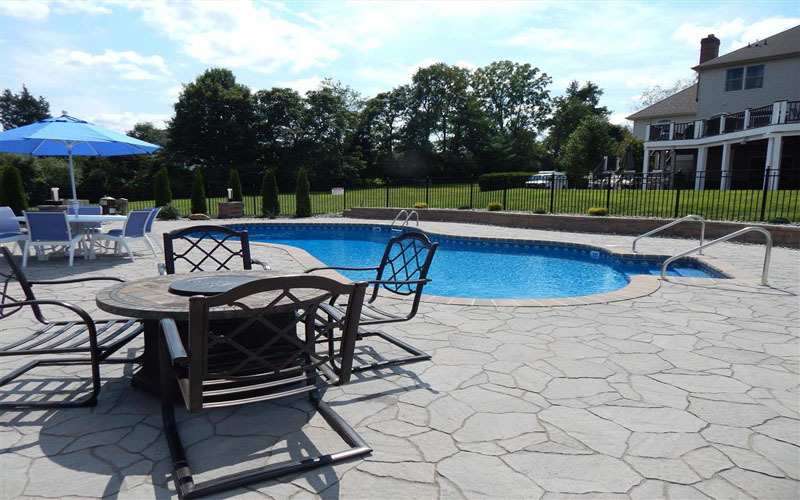 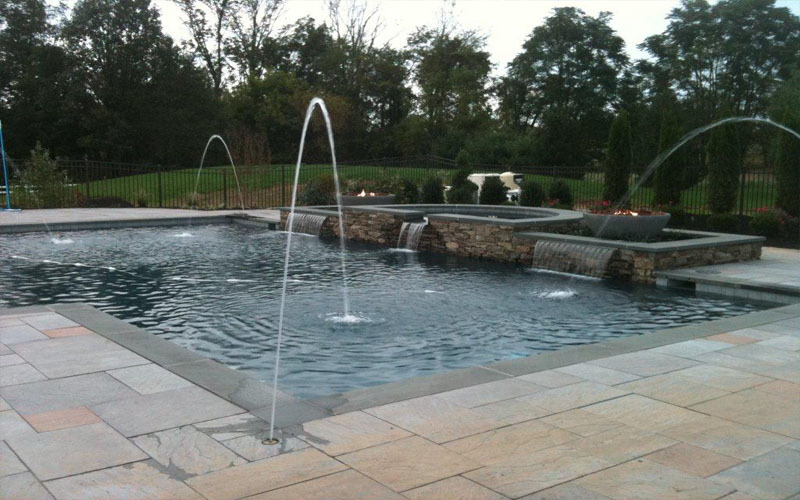 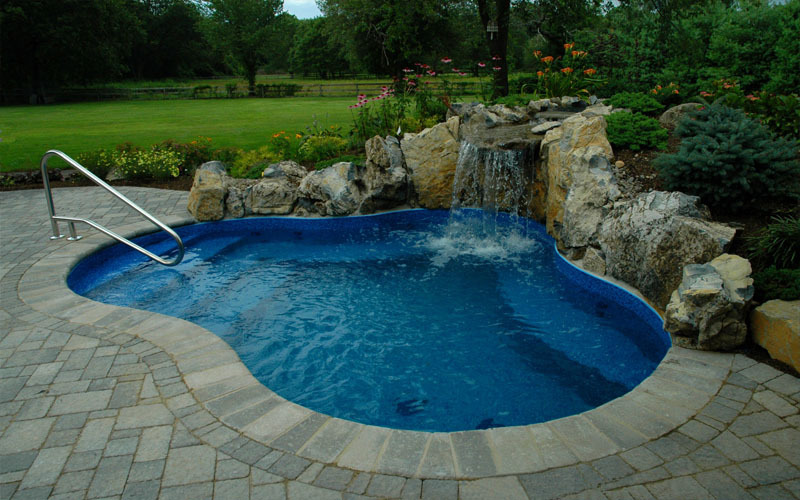 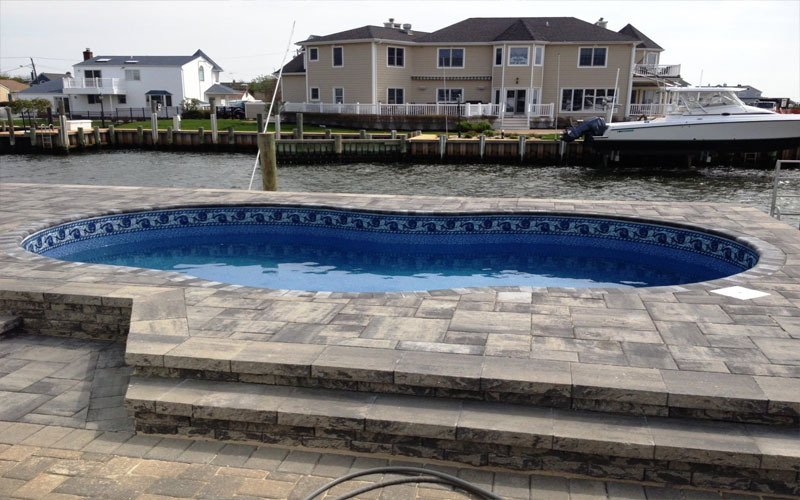 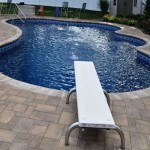 We are your local, licensed, insured, reliable, reasonable and experienced pool pavers NJ contractor company in New Jersey, NJ and Eastern PA, NEPA, Northeast PA, Pennsylvania. 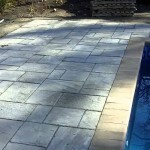 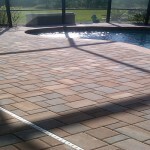 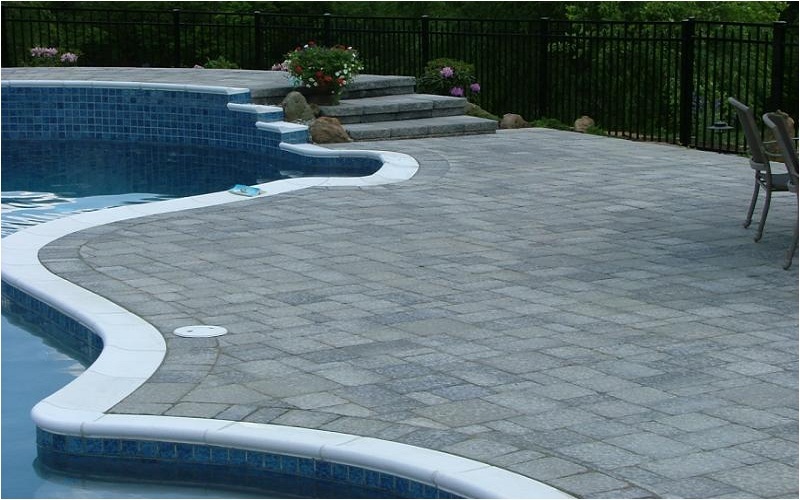 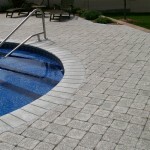 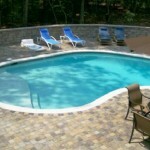 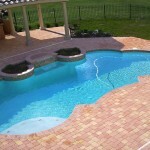 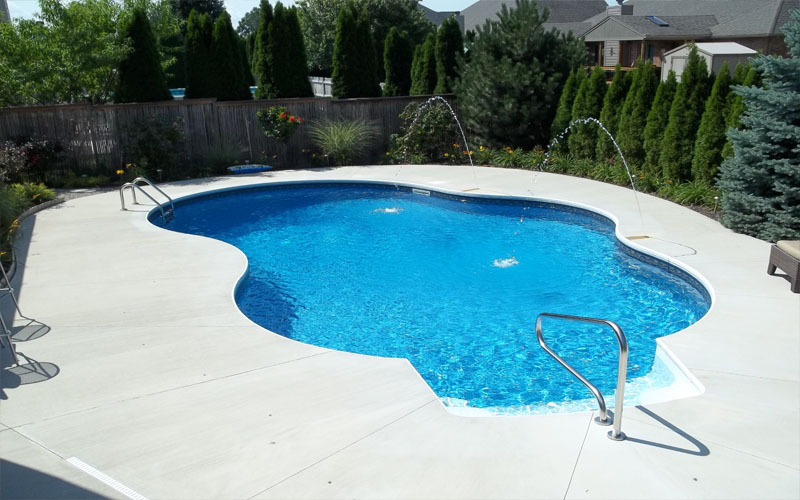 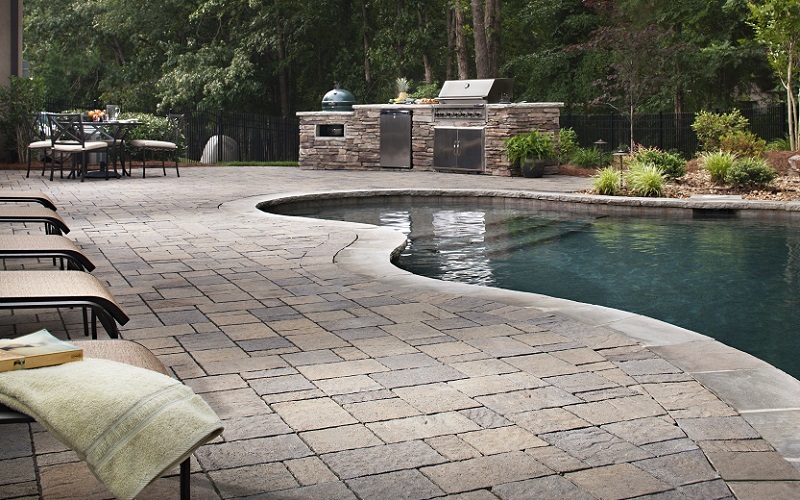 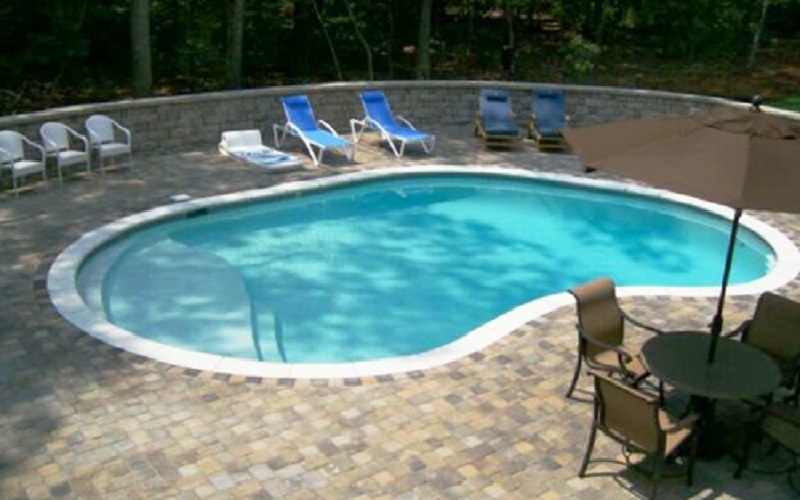 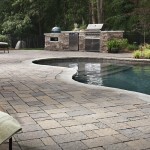 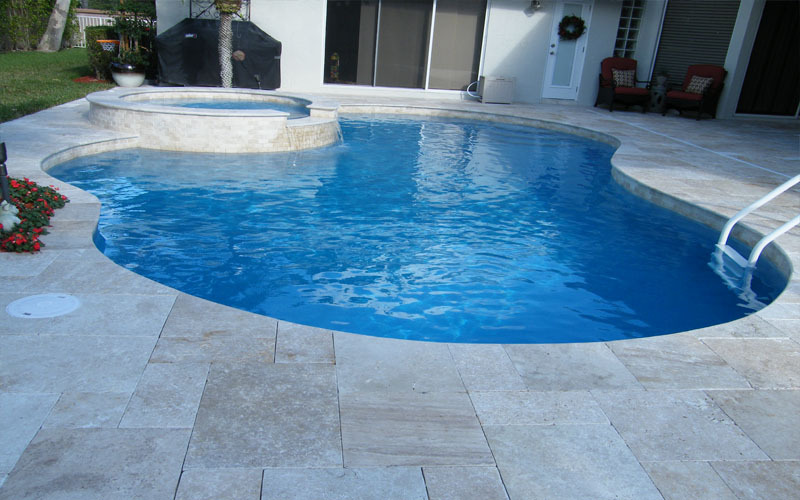 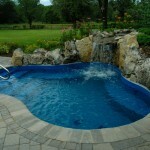 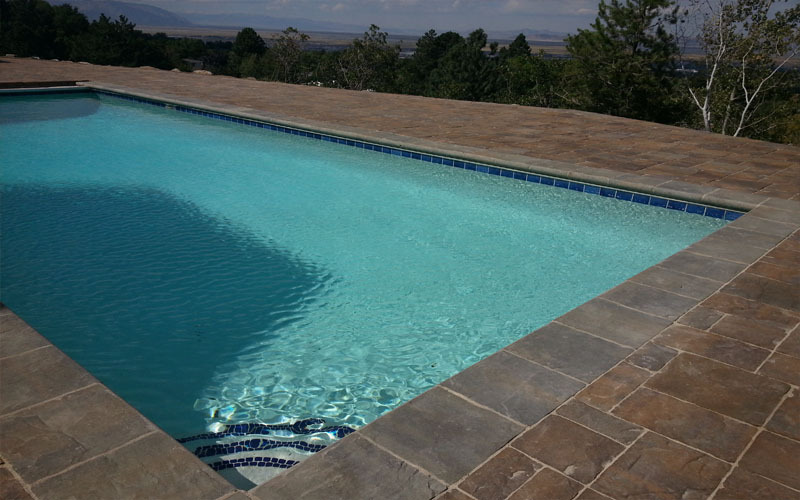 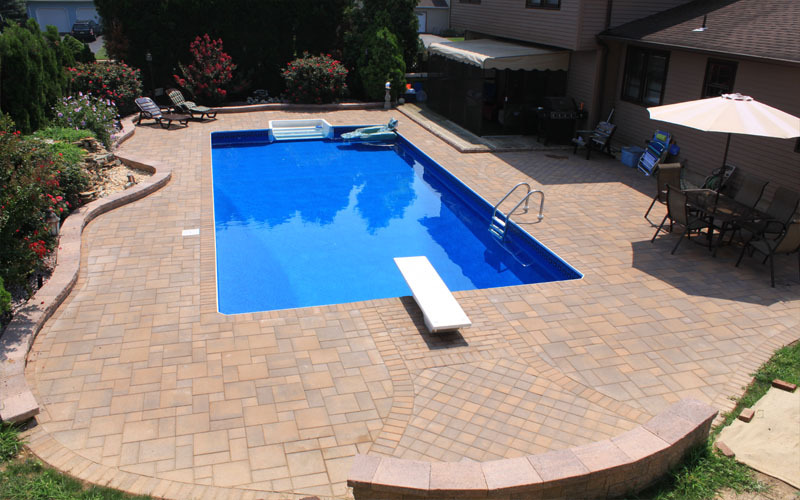 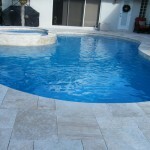 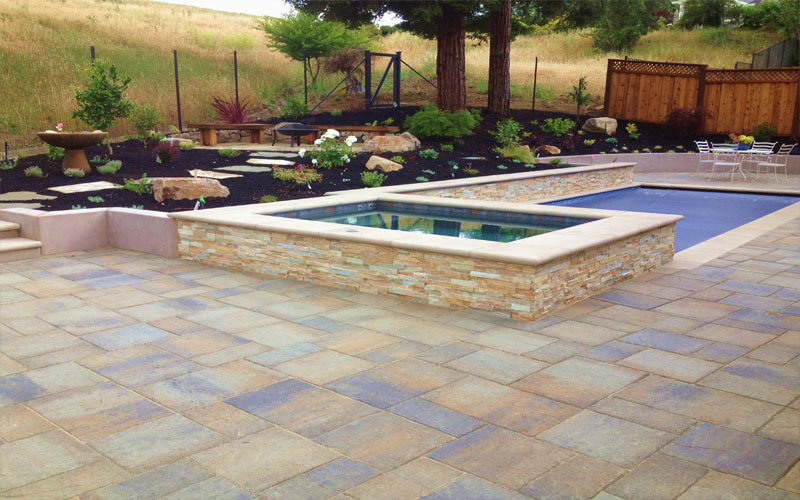 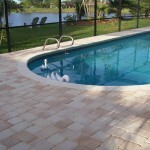 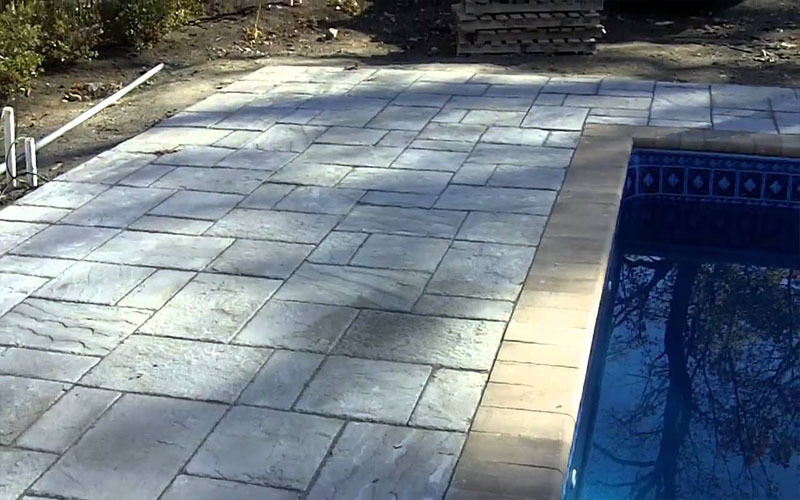 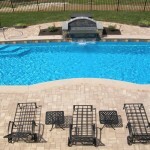 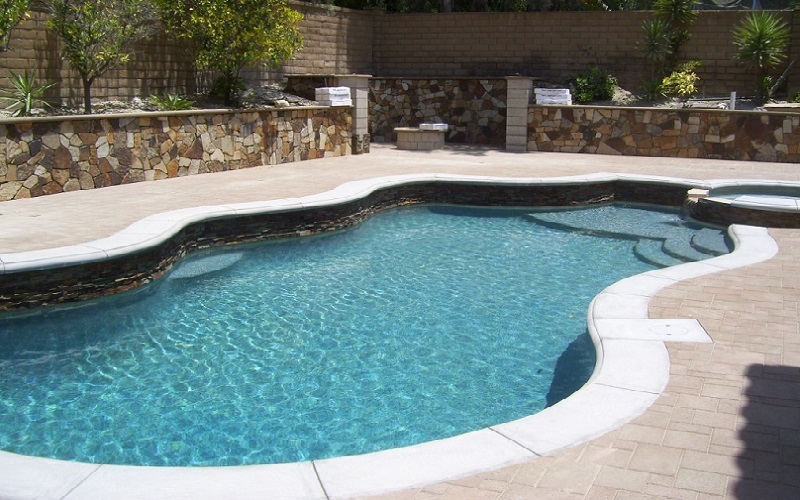 Inground swimming pool pavers are a great choice for any pool projects. 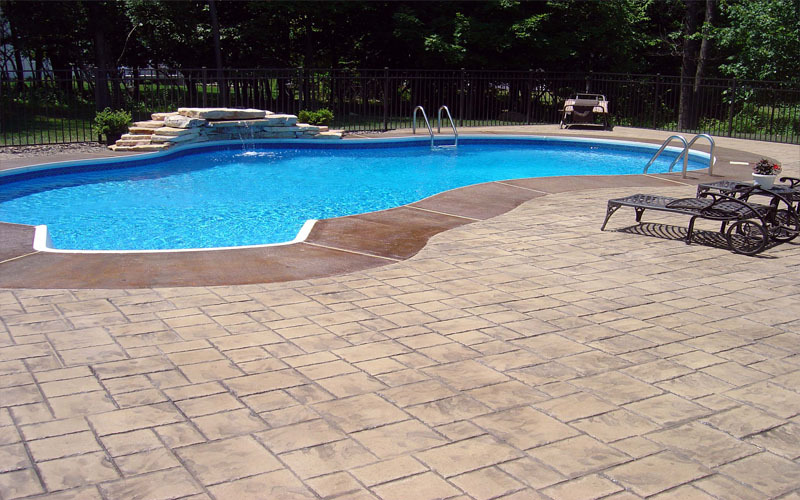 Because of their great customizability and flexibility customer can choose any sizes, shapes, colors and paver designs of pool patio pavers. 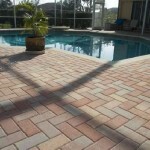 Besides, concrete pavers are a smart choice for major alternative against poured concrete. 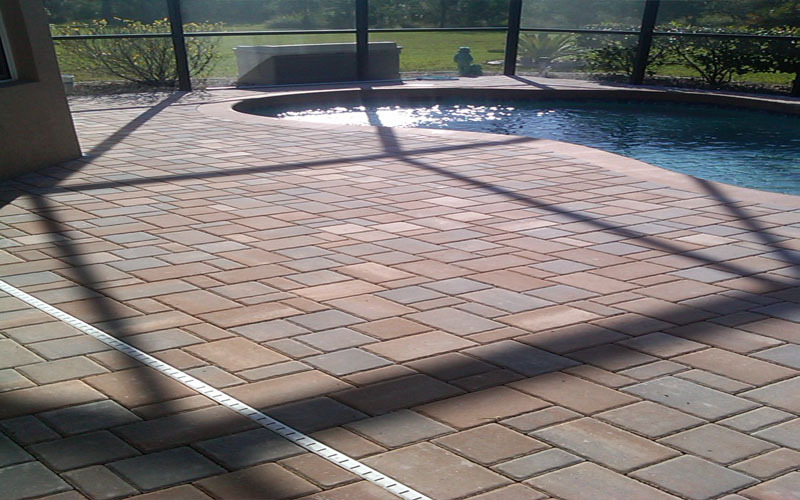 Its because swimming pool paver does not crack over time. 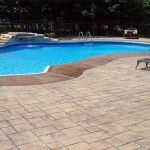 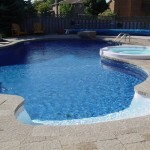 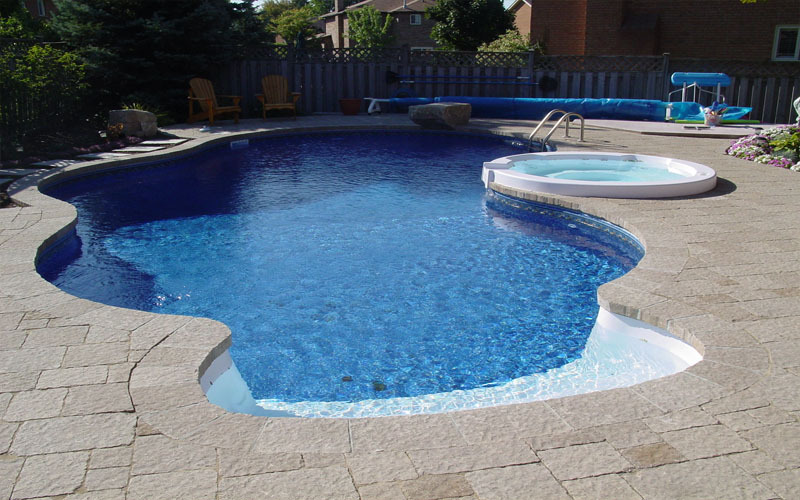 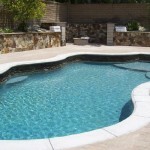 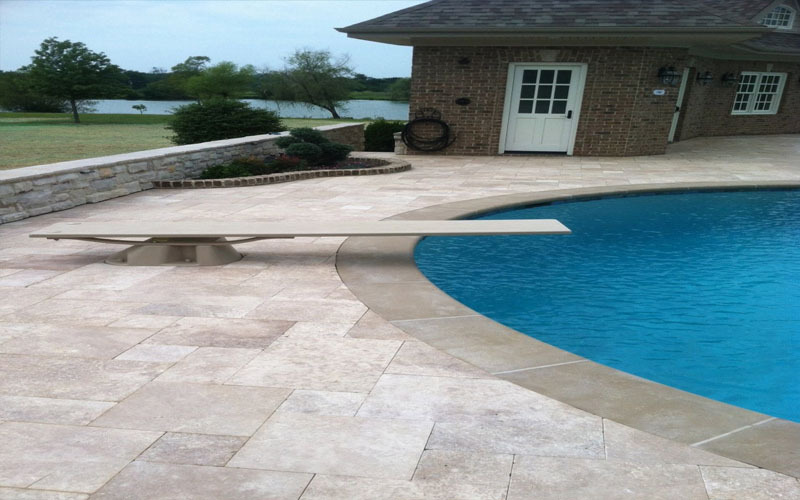 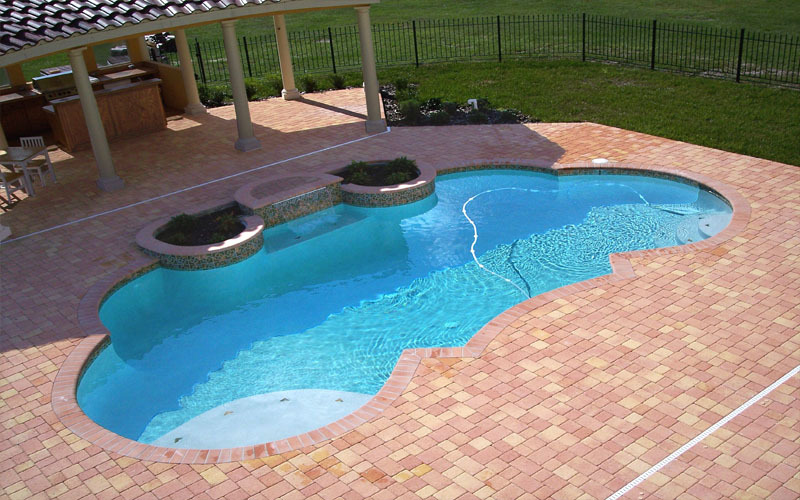 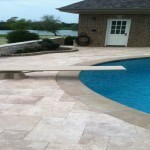 Slip resistance is another great advantage of pool pavers. 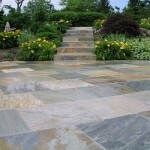 Their beauty stays for a long time and they are more smooth to be easy while walking. 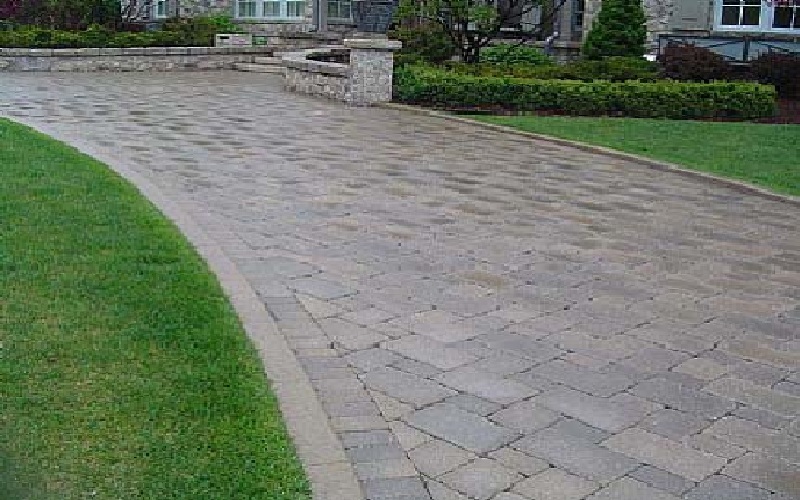 As needed, pavers are enough rough to provide some friction that prevent people from slipping on pavers. 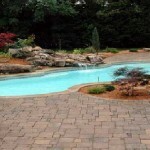 When pavers are near the pool, they will be wet roughness will help that way. 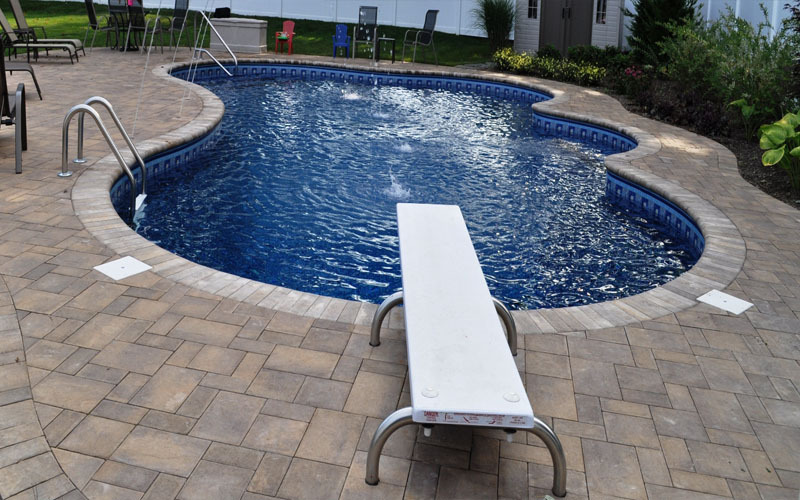 For the people who have their children that enjoy playing around the swimming pool, inground swimming pool paving stones, pool patio pavers will be beneficial investment for safety.